Pop! Obsession: Funko Reveals Creepy New Pennywise The Clown Pop! Vinyls! I don't know if it would be a good idea for me to have these Funkos around the house. Especially at night with the lights out. 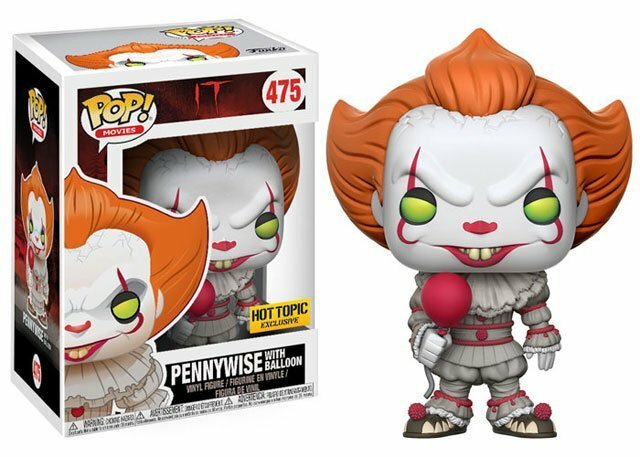 Funko has unveiled a first look at their upcoming Pennywise the Clown Pop! Vinyls from the upcoming remake of Stephen King's It. Pennywise is played by Bill Skarsgard in the movie, and he's even creepier here standing at only 4" tall. 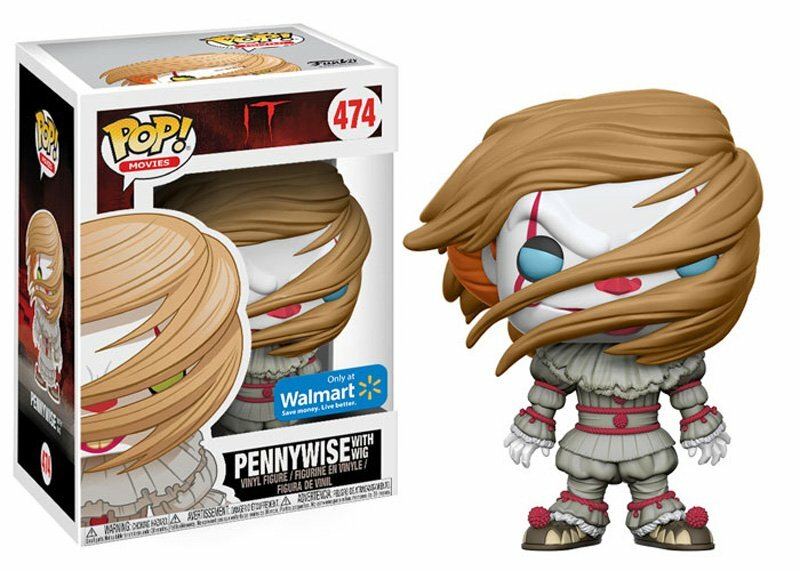 Pennywise comes in four variants: you can get the Hot Topic exclusive of him holding a red balloon, or the Walmart exclusive with his wig whipped into a frenzy and obscuring his face, and two versions holding Georgie's paper boat. The sepia-toned figure will be a limited edition 1/6th variant. Good luck getting that one. Hey, they all float down here, right? These will be made available in September but you can pre-order them now. 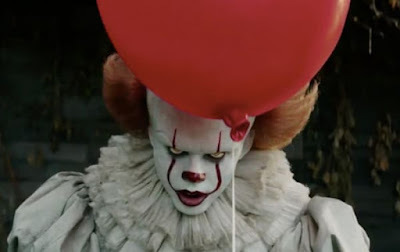 Stephen King's It, directed by Andy Muschietti, will creep into theaters on September 8th. If you're as Pop! Vinyl obsessed as me, the best places to go are our friends at Entertainment Earth. Our friends have the deepest inventory of Pops, including exclusives, at the best prices anywhere on the Internet. When you click on any of our below links and make a purchase we get a small commission that helps us keep the lights on, at no cost to you at all. Every little bit helps, and we thank all of you continue to support us and our sponsors. Thanks! 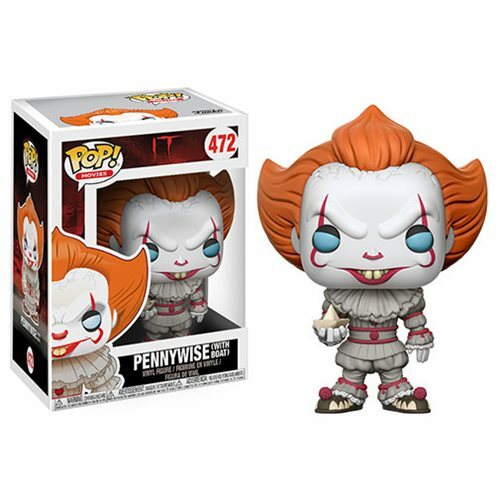 Order Stephen King's It Pennywise Clown Pop! Vinyl Figure #472 from Entertainment Earth!